Dentistry can be confusing for a novice person. An average person can’t distinguish between dental implants or dental fillings. This is the reason why a dental website design should be designed in such a way that it presents all the required information in an easy to read way. It should have a great user interface and must ensure it is attractive at the same time. Only dental website design experts like Dental Office Website can handle this task perfectly. This is how a dental website looks when it is designed by a dental website design expert. Thorough content: Potential clients go through different dental websites. 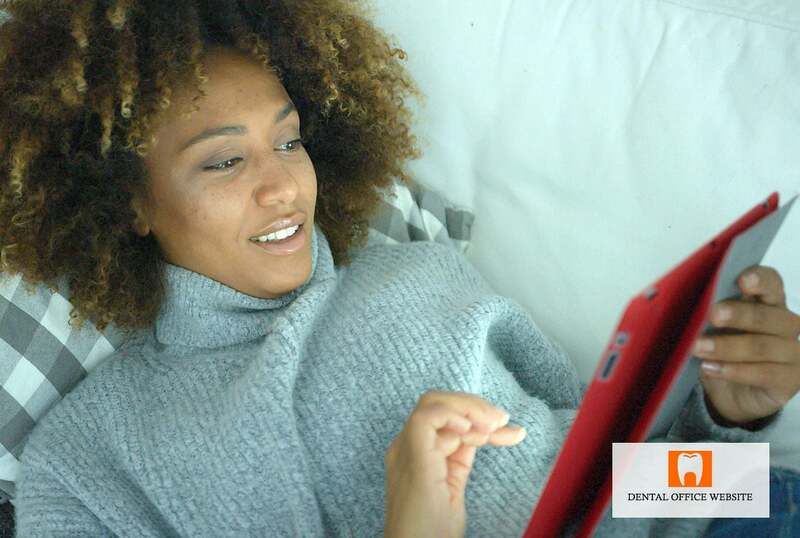 Of course, in the age of dental internet marketing, dentists have been presenting valuable and enriching content on their website as a marketing strategy. It is a great way to get more clients to your dental office. Dental Website Design experts like Dental Office Website take sufficient care in ensuring that the website is thorough in content and organized efficiently. Dental information: A dental website design should act as a catalog of your practice. A dental website design expert such as Dental Office Website takes sufficient care in ensuring the correct working hours and contact information are updated on the dental website. It also ensures to mention the credentials of the dentists, the services offered in the dental clinic and the type of insurance accepted. Easy Organization: Organized content immediately catches the eyes of the audience. When there is too much information on a website it makes the website feel cluttered. To avoid this, dental website design experts engage themselves in making the navigation across the website easier. Whenever any new post is updated, experts like Dental Office Website ensures that it is updated on social media pages too. This helps the audience stay updated and inform about dental practice. Featured Reviews: Dental website office team has become proficient in this and never miss an opportunity to post testimonials. While it can help the patients feel assured about the right place, lots of hard work goes into the process of getting testimonials. Dental Office Website sends emails to every client asking them to provide the clinic with a feedback. Though not everyone replies back, communicating with previous past patients is necessary. Additionally, dental social media marketing pages have another problem to address. That is dental reputation management. However, hiring an expert dental website design firm like Dental office Website helps you manage all these tasks at one place. If you are looking for Dental website design experts, then you should contact the Dental Office Website. They are a complete package and ensure that the marketing of your dental services is done in the right way.